adizero Rose 2.5 "St. Patty's"
Despite Derrick Rose getting into a minor accident, it’s not stopping him from participating in tonights game against the Miami Heat. 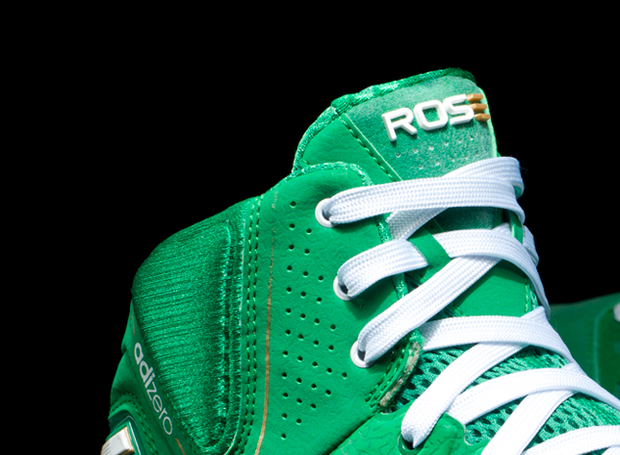 Rose will be introducing a brand new colorway, traditional to the Chicago Bulls uniform code during St. Patty’s week. Dubbed “St. Patty’s,” this Kelly green colorway coincides with the Chicago Bulls uniform that was introduced in 2006. An official release of the “St. 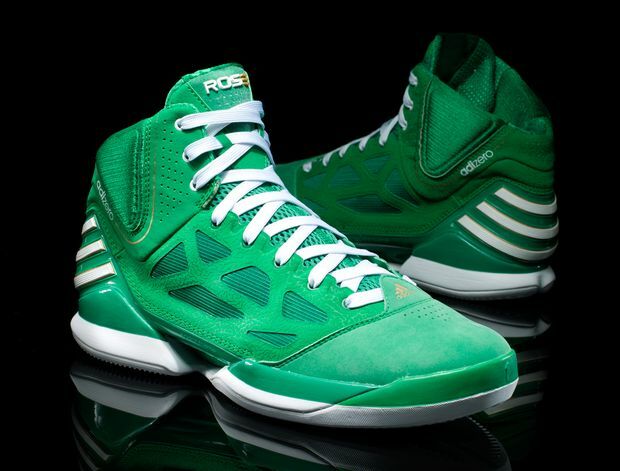 Paddy’s” adidas adiZero Rose 2.5 is set for tomorrow at adidas.com,Eastbay and Foot Locker.